Helen J. Emerick, 86, of Middletown, died Thursday, October 11, 2018, at Bickford Assisted Living. She was born in Gratis, Ohio on December 2, 1931 to parents Lloyd and Ruth (Eby) Burnett. Helen will be greatly missed by her son, Paul (Donna) Emerick Jr.; daughters, Denise (Edward) Carroll & Lisa (Dave) Smith; brother-in-law, Ben Emerick; grandchildren, Celeste (Brian) Church, Paul (Samona) Emerick, Damien (Kelly) Carroll, Austin Smith & Taylor (Kylee) Knabe; great grandchildren, Logan, Aiden, Andrew & Addison; as well as many other loving family & friends. She was preceded in death by her husband, Paul R. Emerick, Sr. in 1995; parents; sister, Betty Buehner; and brother, Donald Burnett. Funeral Service will be held Monday, October 15, 2018 at 2:00 pm at Wilson-Schramm-Spaulding Funeral Home, 3805 Roosevelt Blvd., Middletown with Chaplain Bill Hargis officiating. Visitation will be one hour prior to the service from 1:00 - 2:00 pm. Entombment will be at Woodside Mausoleum. Memorial donations may be made to Alzheimer's Association/Greater Cincinnati Chapter, 644 Linn St.,Suite 1026, Cincinnati, Ohio 45203 – OR - Animal Friends Humane Society, 1820 Princeton Rd., Hamilton, Ohio 45011. 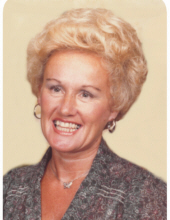 To send flowers or a remembrance gift to the family of Helen J. Emerick, please visit our Tribute Store. "Email Address" would like to share the life celebration of Helen J. Emerick. Click on the "link" to go to share a favorite memory or leave a condolence message for the family.